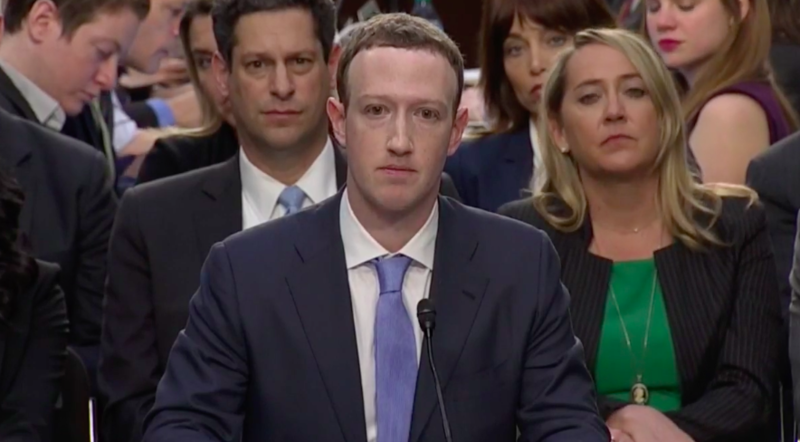 Facebook Founder and CEO Mark Zuckerberg testified before the Senate Judiciary and Commerce committees on Tuesday amid concerns regarding data, political bias and censorship, and privacy. Zuckerberg faced questions from Republican pro-life senators, including Senator Ted Cruz of Texas and Ben Sasse of Nebraska. This fact may be even more concerning, considering that 15,000-20,000 Facebook employees engage in content review, opening the door to possible content removal based on political viewpoints. Similar concerns were raised by Sen. Sasse, particularly on what Facebook defines as “hate speech,” leading to the policing of speech, specifically content from pro-life organizations, because some may find the content offensive. Guess what, there are some really passionately held views about the abortion issue on this panel today. Can you imagine a world where you might decide that pro-lifers are prohibited about speaking about their abortion views on your content, on your platform? Zuckerberg mentioned he would not wish that; however, Facebook has prohibited Live Action from advertising two videos featuring former abortionist Dr. Anthony Levatino, who describes the abortion procedure. These videos, included below, have had millions of views, and have helped to change minds on abortion. Facebook is not the only tech company which has censored Live Action, much to the applause of pro-abortion groups, such as Planned Parenthood. Twitter has suppressed Live Action’s content and blocked the pro-life group’s ability to advertise. It is crucial for groups like Live Action to be able to inform the public on issues, such as abortion, especially when innocent lives are truly at stake.